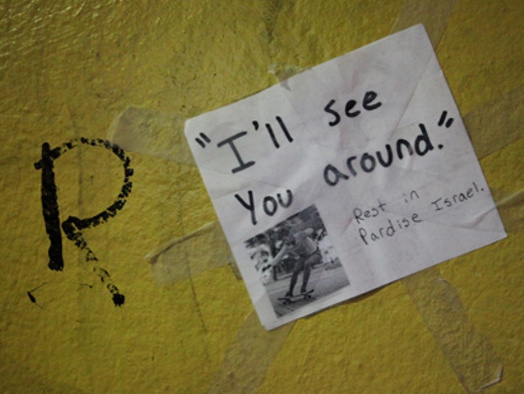 Israel Hernandez was killed by the Miami Beach Police for scribbling an "R" pictured here on an abandoned McDonald's wall. The 18-year-old skater was chased down, pushed up against a wall, and tased, after which he started to show signs of "medical duress." One witness even said the officers were congratulating each other after tasing him. Hernandez might have been fleeing out of fear of deportation. He was a recently documented Colombian immigrant. Regardless of the circumstances, no one should have to die for scribbling an "R" on a wall. Sign and share to tell the Miami Beach Police department that you want the officers who did this to be held accountable and action taken to make sure this never happens again. We expect the police officers responsible for this to be held accountable and for the Miami Beach Police Department to take action and make sure this never happens again.